Student-Centered Coaching is grounded in a simple but powerful premise: school-based coaching can be designed to directly impact student learning. When the focus is shifted from "fixing" teachers to collaborating with them in designing instruction that targets student achievement, coaching becomes both more respectful and results-based. The book also underscores the critical role of the principal in developing systems and structures for supporting teacher development and fostering a culture of learning. The professional development program was developed based on the research and work of Diane Sweeney. 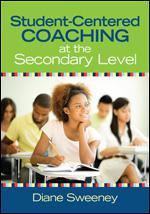 The first best seller Student-Centered Coaching at the Secondary Level was written for coaches who work with secondary teachers in all content areas and offers rich case studies and practical tips and tools. Some districts have requested a study guide to support their dive into the processes and tools that are focused on throughout the book. Student-Centered Coaching: The Moves shows you the day-to-day coaching moves that build powerful coaching relationships. 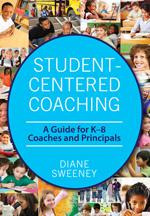 This innovative book is the perfect companion to Diane Sweeney’s Student-Centered Coaching: A Guide for K-8 Coaches and Principals and Student-Centered Coaching at the Secondary Level. 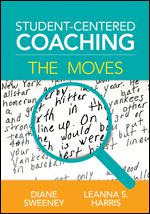 Written for coaches who work with teachers in all K-12 content areas, Student-Centered Coaching: The Moves will help coaches support teacher development, foster a culture of learning, and improve student achievement. Strong leadership is essential in any successful instructional coaching effort. 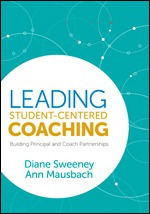 Leading Student-Centered Coaching provides principals and district leaders with the background, practices, and tools required for leading coaching efforts that have a profound and positive impact on student and teacher learning.